Students will be the professionals with basic medicine, the theory and medical treatment of clinical medicine and basic skills of prevention to work in scientific research department. 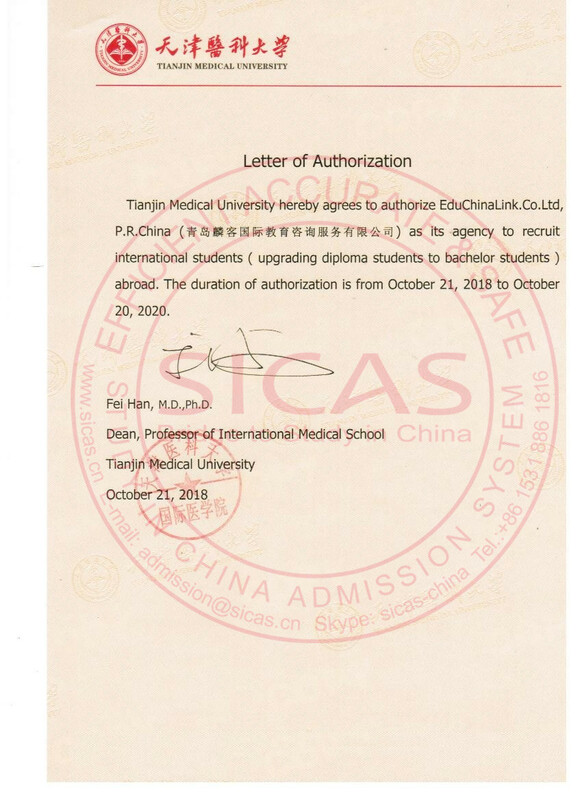 The Institute is a new mechanism and model with the management of independent colleges, relying on and enjoying the teaching resources of Tianjin Medical University, which efforts to make the school resources, education, tradition, teaching staff and management efficient and social capital with each other, starting point to establish a rapid development of new higher education institutions . *All the fees must be paid in RMB. *The testbook fee is our undergraduates only. The applicant must be a high performing school graduate. The age must be over 18 and under 30 years old.